This trait matrix is for all you fantasy fiends who can’t get enough of football throughout the off-season. It’s a glimpse into the rookie evaluation process that I undertake as we try to find the special players who can ultimately bring you a championship come fantasy season. The grades may seem generous right now, as much of the footage available is made up of sometimes limited film on players, highlights and cut-ups. But, as Alex likes to say, we want to see what the player can do, not what he can’t. That being said, this is a living document, and as we move through the evaluation process – pro days, the combine, etc., grades will change. So check in with me over the ensuing weeks and months, as I work through the process. Here we introduce the Trashman’s 2018 Scouting Trait Matrix for the incoming WR and RB class. The project will be a work-in-progress through draft season as Trashman tweaks his inputs into the matrix and as more information becomes available from the combine and pro days. The goal is to allow our PRO community to see the database taking shape and to follow along as the Trashman wraps his disgusting mind around the group as a whole. The premise is simple: grades are given for desirable traits in a prospect and a weighted average of all traits is taken to provide a RAW output by which the sheet is sorted. New versions of the sheet will be provided each week leading up to the NFL draft as the Trashman adds more players and tweaks the rankings on those already graded with new information. Feel free to throw all the tomatoes you want, but make sure to direct them at the Trashman as this is his undertaking, and his solely. – These are not RosterWatch official prospect rankings. Once the RW staff has done enough research and seen enough of these players live to begin ranking them in order, we will have a consensus ranking when takes into account not only the Trashman’s raw outputs, but also staff rankings from Alex Dunlap, Byron Lambert and others, plus the outputs of our college productivity and market-share models and other proprietary data we’ll gather through the process. Again, this is a glimpse into the mind of the Trashman as he assimilates in the class in real time, and one we hope our PRO members will enjoy. 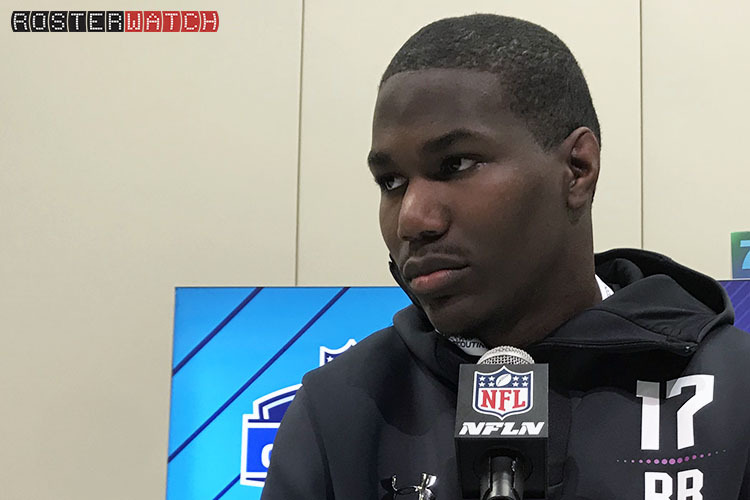 – As it is a living, breathing (and stinking) product, it will not be encompassing of all players until the final raw outputs are tallied prior to the NFL draft. The players you see listed on the spreadsheet who have been assigned grades are the ones the Trashman has finished his initial work on while those with blank cells are players the Trashman has yet to get to. 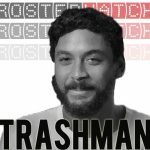 If there is a player who you believe deserves review by the Trashman who is not on the sheet, let us know in the comments section below or email us at info@rosterwatch.com. We will take all suggestions of PRO members into consideration. – Until we have all-star game, combine, or pro day measurements taken by NFL scouts for players, the numbers will be merely projections and will be in blue. For 40-times, further distinction will be made between whether they were recorded in Indy or at the pro day. – The “position-specific” traits can be seen in the spreadsheet legend for both the receivers and the running backs as well as the shared set of general physical traits. – Don’t be surprised to see players move around during the process, as mentioned, but we wouldn’t say that any movement should be terribly drastic. There is some projection to the initial inputs, especially before we know explosion scores and official size measurements, but the majority of the inputs into the matrix are based on observable traits gleaned from film and not having much to do with information that will become available though the process. There will be tweaks, but if the Trashman is doing his job correctly (always a concern), then there shouldn’t be any real overhauls. 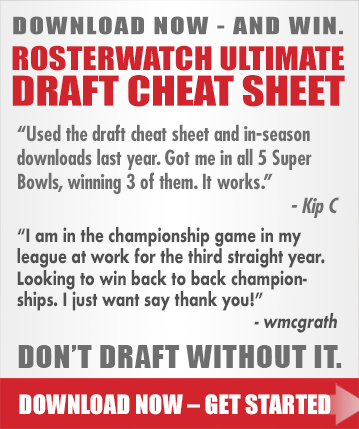 THE ULTIMATE FANTASY DRAFT CHEAT SHEET - DOWNLOAD NOW!